is to promote chili and raise money for charity. CASI is involved in over 450 chili cook-offs per year and raises over $1,000,000 annually for local charities. 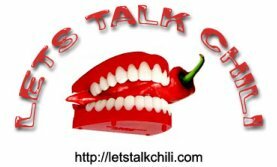 Click here to join CASI now and start your way down the Chili Trail! Members in CASI receive the Terlingua Trails Newsletter with monthly updates on cookoffs and loads of valuable information for chili cooks and connoisseurs. Members also are automatically eligible for participation in pod activities and cookoffs, as well as attendance at the annual Terlingua International Chili Championship© in Terlingua, Texas. Chili Appreciation Society International, Inc. is a non-profit charitable organization, so your membership may be tax deductible.